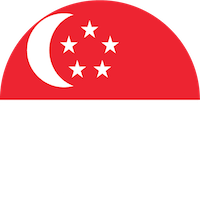 Singapore has often been credited with being a pioneer in several advancements. Now, thanks to sisters Adeline Setiawan and Christina J. Chua, the Lion City is about to add another first to the list—a new interdisciplinary online publication and art gallery called so-far.online. Launched in January this year, the online art gallery covers new technologies and global issues. With a mission to bridge the worlds of contemporary art, culture, and technology, so-far presents critical perspectives across a broad range of disciplines. And, its first biannual issue will investigate smart cities in Singapore and around the world. Co-founded by two women, entrepreneur and anthropologist Adeline Setiawan and gallerist and writer Christina J. Chua, so-far’s innovative model merges a publishing house and a commercial gallery. Its content is funded by sales of contemporary artworks, which are specially curated for every feature. For its inaugural ‘Issue 01: Smart Cities,’ so-far presented dialogues, interviews, essays and creative writing from over 10 technologies, media, theorists, futurists, writers and curators, as well as diverse spectrum of artworks from 15 Singaporean and international multidisciplinary artists. “The more we use and create technologies, the more we need to understand the complexities, the ‘what-if’s’ and the ‘why’s’. Artists, technologists, and the interdisciplinary fields play a critical role in understanding and addressing complex issues of our times, and having a diversity of imagination is as important as having a diversity of participants on this journey,” Adeline Setiawan, Chief Publisher and Co-founder of so-far, tells HerStyleAsia. Interestingly, this is not Setiawan’s first entrepreneurial venture. She also co-founded Saturday Kids, a curiosity school for children to learn code, design, engineering and empathy. As well as FabCafe Singapore, a cafe in Art Science Museum, a place where people could explore creating with digital fabrication tools such as 3D printers. With So-far Adeline Setiawan and Christina J. Chua not only aim to being arts to young minds, but also benefit artists directly while addressing challenges in the commercial art business. Leveraging on an online audience and contextualising artworks through content pieces is at the heart of so-far’s lean methodology. “We are thrilled to launch this new platform for cross-industry dialogue on a web-based business model. We are convinced that art galleries need to innovate to adapt to the changing technological landscape, and collaborative efforts such as so-far can offer an answer,” says Christina J. Chua, Chief Editor and Co-founder of so-far.online. Adeline Setiawan and Christina J. Chua, sat for an exclusive tete-e-tete with HerStyleAsia to share their innovative new venture and their inspiration. HSA: Please tell us a bit about yourself and how you developed an interest in this niche genre. Are you self-taught or did you study art? Christina: I became aware of art just watching my older sister make it and bring me to museums when I was young. Then I grew to love it as an Art Elective Student in junior college (high school). I would spend hours in the art studio. I wanted to study art in university but ended up pursuing my second love, literature. Even then, I’d read as many art history modules as possible. Adeline: I grew wondering what it means to be creative. Do creatives only become artists? Growing up, I watched my brother him as he sat for hours practising and drawing these beautiful strokes. He later learnt ceramics from a ceramics artist in Indonesia. All these time, he was a resolute student of the sciences. I decided early on that I was not as talented in the arts, and therefore not creative. But after having the fortune of meeting many artists, musicians, scientists, hackers, business people, I realised that what we consider “art” is not just about the final form. Creativity breeds itself in many curious, splendid, sometimes quiet ways. I would like to honour that humane instinct to think, to work with materials to understand the world – what we call ‘art’. HSA: What was your motivation or inspiration behind this online gallery? Christina: After working in commercial galleries for several years, I came to realise how the traditional business model is just not working. Adeline: We sat down and thought real hard about the current gallery model, and mapped out what we thought could be better. I wouldn’t go so far as to claim that we have nailed the solutions. But I think one of the starting points is to see what we can do better to help artists. A lot of our friends are artists, and as with most artists, they have another job. Now, if you think about you and I, if we do something on the side we’d just call it “a side hustle”. But these hard-working individuals call themselves ‘artists’. And often, the best artists research a subject with incredible curiosity and depth, not unlike other creators, entrepreneurs, or scientists. Yet, why are artists not celebrated as a society? I recently across an old blogpost written by the famous Silicon Valley venture capitalist, Paul Graham, and it really speaks to that impetus – people who build, make, code, create, design, have so much more in common. In this world where problems are becoming increasingly more complex, I think it’s time that we embrace the interdisciplinary, and be open to understand and solve problems in a non-linear way. Why not embrace the artistic methodology and support artists while doing it? HSA: Would you say you are the first of a kind online platform for artists online? Adeline: There are already several online art galleries and platforms with different reach and regional or international content. For many of these, however, editorial content takes a backseat. So we are the first to present art through the publication – good, curated editorial content as our backbone and foundation. HSA: How popular is interdisciplinary content in Singapore? Do you see a huge footfall in the coming months? Adeline: I think The Internet and access to other cultures and thoughts have allowed our interests and cultural tastes to be more varied. We’ve received great feedback from the people we’ve interviewed and people who have visited our website engage with the topic on our Facebook (We recently held a FB poll “Do you care about your data being hacked”. One of our readers, a software developer commented on how he secures his passwords to prevent hacks. He even shared a tool that he coded, to manage his passwords, on our FB page! I think beyond footfall or readership, ultimately so-far.online engages readers on issues that concern all of us, but we often don’t think about. Also, how often do you see an Asian art x tech x culture publication? HSA: What themes are you starting with? What can millennials expect? Adeline: Issue 01: Smart Cities (Jan 2019 – June 2019) asks why do we need to care about data, governance, and if smart cities are the future, what does it mean for all of us? Expect conversations with technologists, engineers, policymakers, media theorists, and artists. Issue 02: Artificial Intelligence (July 2019 – Dec 2019) delves deeper into questions of what makes us uniquely human: our vulnerabilities, corporeality, and ingenuity. HSA: Would you say your platform is a perfect place for millennials to know more about the world around them? Adeline: Not just millennials, but anyone who’s living in the 21C interested in reading the future. HSA: What’s your message to millennials? HSA: What’s so-far’s view on female Asian emancipation? How do you project it? Adeline: We’re lucky to be alive at this time. Our mothers, grandmothers, great-grandmothers had it tougher. Yes, there is still a lot of work that needs to be done in terms of gender equity in the workplace. And yes, we all have a part to play, females, males, LGBTQ alike. No gendered being enjoys being treated any lesser than another. We can take steps to addressing this, starting with equitable payment and recognition of work. Every time we see females who dare to forge their own paths forward, and redefine what it means to be successful, it inspires us to create better experiences on www.so-far.online. Did you know, we had a vision of an intelligent, hardworking, financially-independent, well-read and well-travelled woman when we decided on the website’s colour palette? HSA: What was the biggest rookie mistake you made when you just started out? Adeline: We factored in too little time to get things right. Not the best idea, especially when you’re dedicated to crafting quality content, and building the website. The second is something we’re still trying to optimise: setting aside time for self-care. We’re a little work-obsessed and sometimes it’s easy to forget that you need to take time off to eat right, to feel good, before you can do good work. HSA: What challenges did you face when you launched the site? Adeline: Oh we’re still working on the challenges! Sometimes with every update there will be broken links, texts that are unreadable, or images coalescing into one another. It’s a constant work of maintenance. You think you build a website and it’s done. But no. Once the website is up, it owns you. Do not own a website unless you absolutely have to! HSA: How did you overcome them? Adeline: Christina is one of the most incredibly meticulous and patient user-testers I know. I’m constantly sending links to my friends and family to test the website. HSA: What is your brand’s motto? HSA: What’s your current obsession and how have you translated it into your work? Adeline: Christina and I love reading. I love meeting people from various backgrounds and understand what they do, how they do, and why they do it. Creating an experience for our readers to be able to come with us on this journey to explore people, places, and ideas, is one of the best feeling on earth. HSA: What are your 5 current favourite pieces from the current presentations? Or, would you like to recommend any installations or pieces to our readers- a must-watch, if you may? Adeline: The Minimalism show at the National Gallery. Also #sofarreads, to be announced on the site. Books and literature (fiction and non-fiction) recommended by some of our contributors. With the launch of so-far.online, millennials now have a platform to understand interdisciplinary art and culture. Adeline Setiawan and Christina J. Chua’s decision to feature future-oriented material for the interdisciplinary mind is now making dialogues between artists, technologists, and other collaborators a virtual reality.